Fought off a bear lately? These folks have. 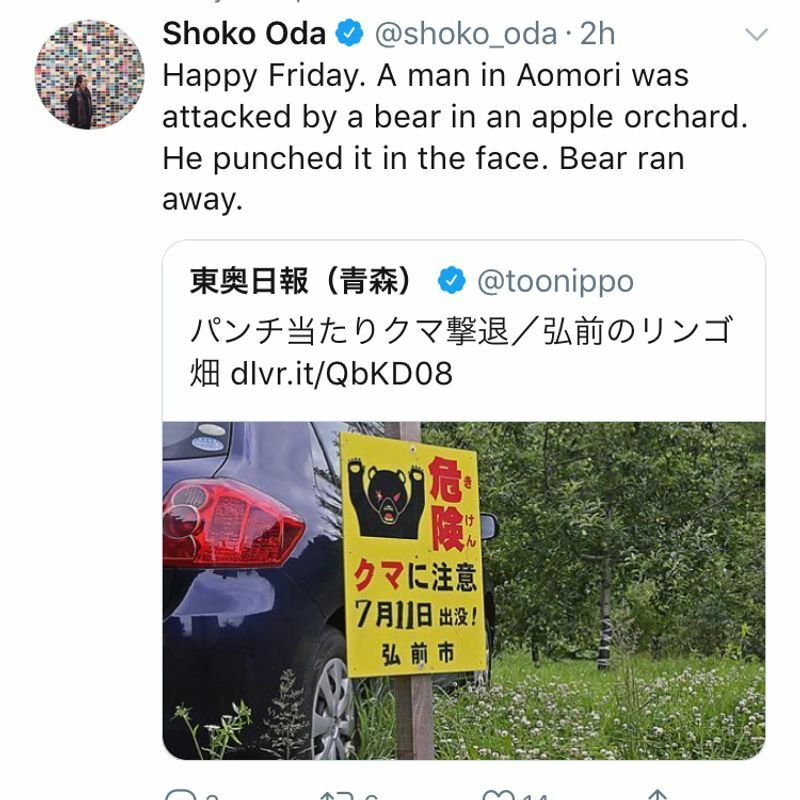 I read the article and apparently the summary is pretty accurate: a bear wandered into an apple orchard in Aomori and a man knocked it in the face to scare it off. I’ll admit that the first thing I thought of was Kintarō, Japan’s legendary folk hero who bested a bear hand-to-hand when he was only a small boy. Lots of things surprised me about this lady. First, even though she showed a few scratches from where the bear’s teeth had gotten her shoulder, she was otherwise unscathed by a BEAR attack. Second, she tried to shoo the bear away as if it was a crow or a tanuki...a BEAR. Talk about gumption. Third, she told the story as if it was a funny anecdote about going down to the store. But you know what surprised me the most at the time? 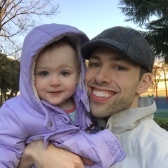 It was the fact that she was hoofing it all over this field to tell the story without missing a beat and the reporter (who was probably 50 years her junior) was huffing and puffing trying to keep up. Talk about a hardy lady—gets in a fight with the bear and then shows up the young whipper snapper on regional TV the next day. My last thought about these bear stories is that either Japanese bears are wimps or Japanese farmers are the toughest people around. After living here in Niigata for a year, I reckon it’s the latter.